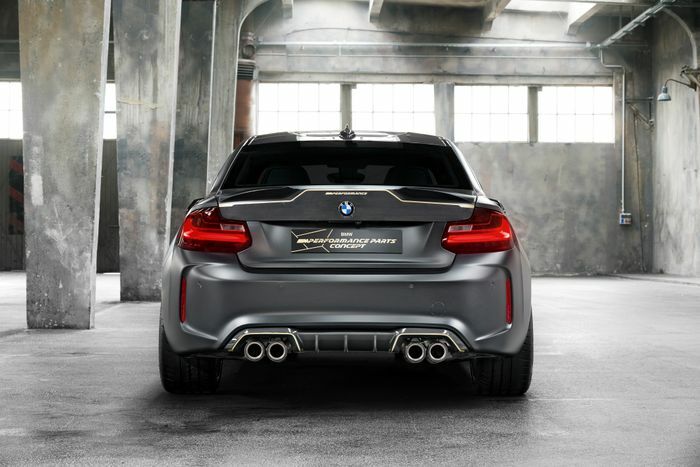 What you’re looking at is not the latest product from a company like AC Schnitzer or Manhart. 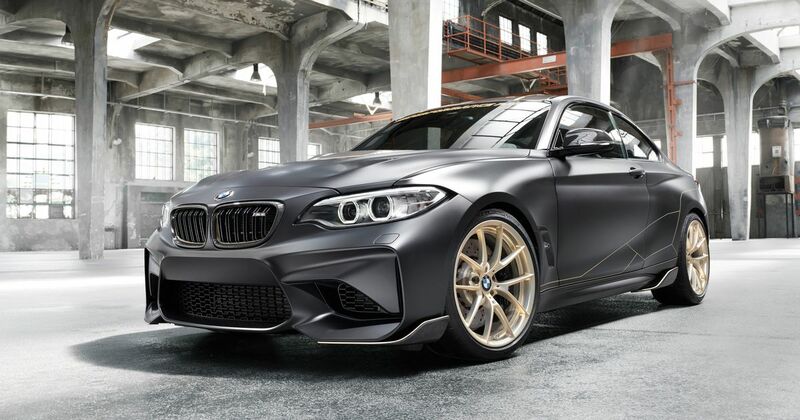 Nope, this tasty-looking M2 the work of BMW itself. 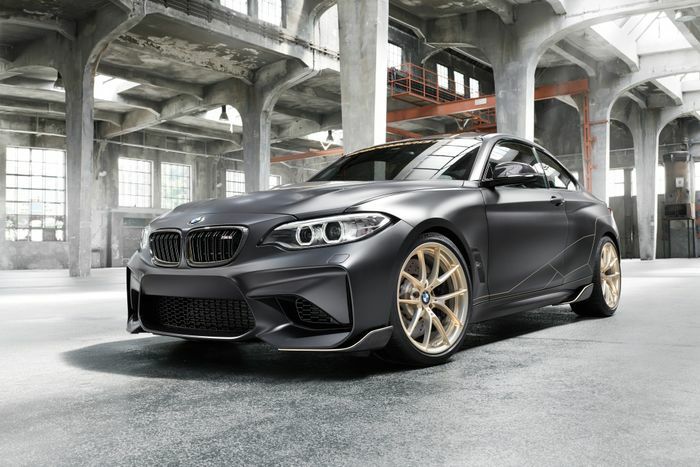 Dubbed the ‘M Performance Parts Concept’, it’s 60kg lighter than a standard M2 thanks to the fitting of many exquisite lightweight parts which are either available to buy now or on their way. Reday? We have a front radiator grille, bonnet, side panels, sill winglets, roof, boot and rear diffuser all made from carbonfibre. The carbon roof on its own shifts 6kg from the car, while lowering the centre of gravity, and the bonnet is a massive 8kg lighter. 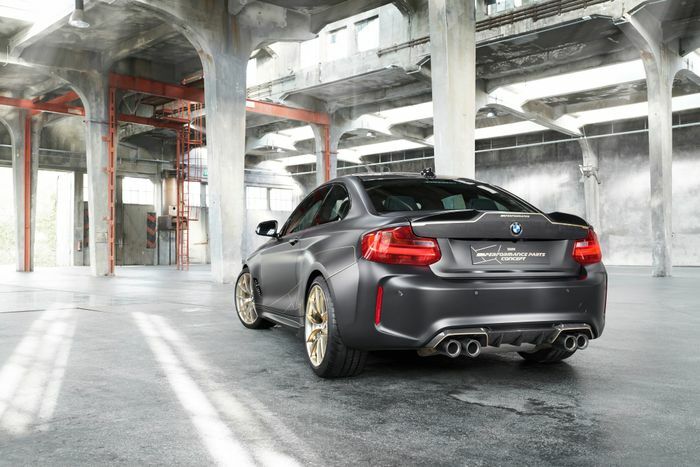 The ‘Y-spoke’ forged M Performance wheels look particularly lovely finished in ‘Frozen Gold’. A set of four reduces the unsprung mass by 6kg. The interior is a festival of yet more carbonfibre and - predictably - Alcantara. There are carbonfibre M Performance sport seats with Alcantara trim, and even lightweight rear seats that shed a further 13kg from the car. 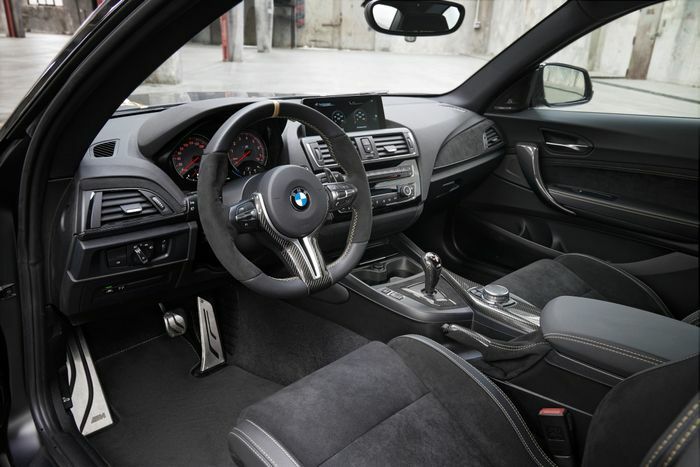 There’s a carbonfibre handbrake with an Alcantara gaiter, teaming up with the ‘M Performance steering wheel Pro’ which is clad in leather and…Alcantara. Both have a ‘golden contrast seam’. The chassis has been tweaked too, with the ride height dropped 20mm via a set of adjustable coilovers. The springs are finished in black, and so are the brake calipers. Which is worth 5bhp at least, we’d say. Fancy a look at this concept in the metal? As with most new cars we’ve talked about over the last week or so, the concept will be making its public debut at the Goodwood Festival of Speed.